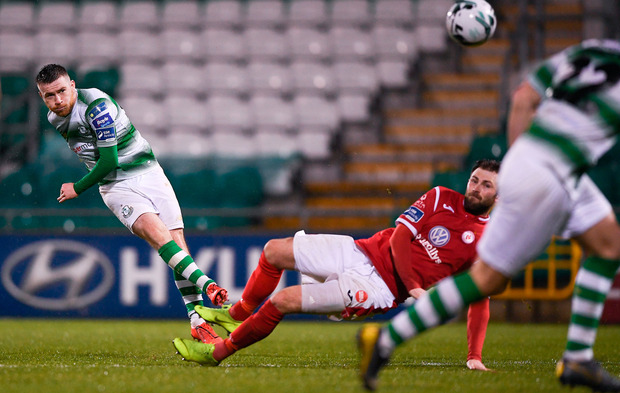 A third straight win with a clean sheet will feed the hopes of Shamrock Rovers supporters that the club can end their wait for major honours, Stephen Bradley's side four points clear at the top of the Premier Division table after a one-sided win over Sligo Rovers. 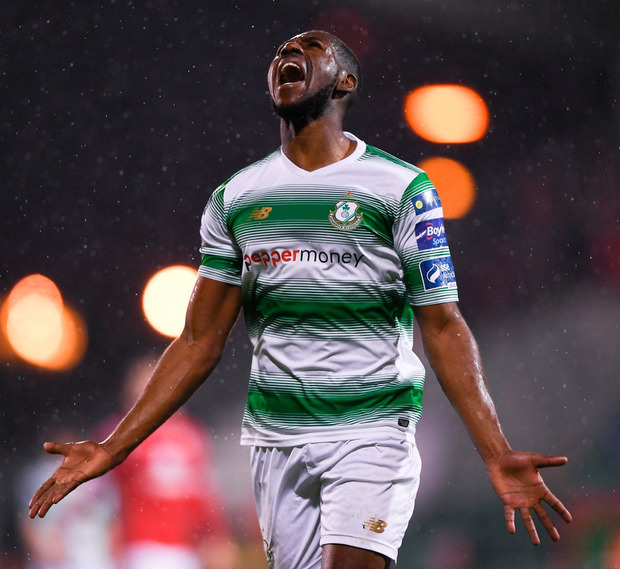 Left-back Clarke has already earned an international call-up as he reports for U-21 duty next week, while Byrne had been in the senior squad under McCarthy's predecessor but subsequently went off the radar. 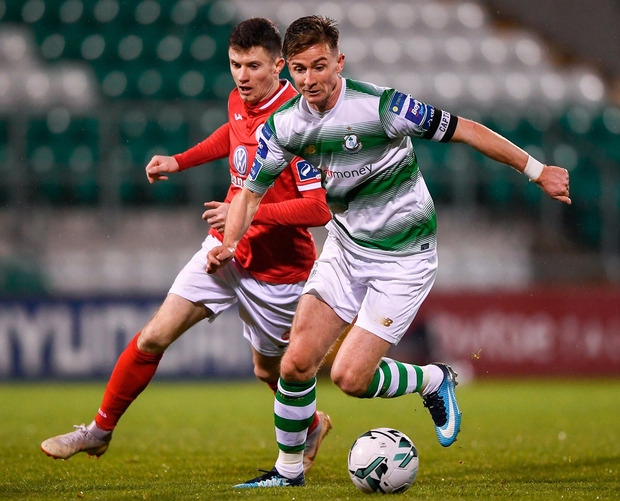 Still only 22, Byrne ran the show in midfield last night and his performance was capped off by a stunning goal on 81 minutes, and given McCarthy's limited options in midfield, a call-up for Byrne is something that could not be ruled out in the medium term. Six minutes from the break, Stephen Bradley's side had the lead, at last, a corner from Byrne falling for Carr who tucked away his first goal of the season. But Byrne was not finished and he popped up on 82 minutes, spotting 'keeper Beeney off his line and the former Manchester City player came up with a strike of skill and power to claim his first for the club, likely to be the first of many. Shamrock Rovers - Mannus; O'Brien, Lopes, Grace, Clarke; Bolger; Byrne, McEneff, Finn (Watts 67), Carr (Coustrain 80); Greene (S Kavanagh 68). Sligo Rovers - Beeney; Morohan, Callan-McFadden, Mahon, Banks; Dunleavy; Twardek, Cawley (Warde 78), Parkes (Kerrigan 46); Murray (Fordyce 78); Coughlan.